What is the best Kids Metal Detector? In this article, we take a look at the best kids metal detector. We review numerous hand-picked metal detectors which we believe are good for children. There’s perhaps nothing more exciting for children than the dream of discovering treasure, which makes a metal detector the perfect gift. There are many benefits of buying a kids metal detector, it gets your child outside where they will learn and keep fit. It’s also a great way for a parent to bond and spend quality time with their children. Something fun that all the family can do. Whether it be treasure hunting in the back garden, a day trip to the beach or something more serious there is no doubt in my mind that the majority of children will absolutely love to play with a metal detector. Remember when you were a child, that’s perhaps, if you are a detectorist, where your metal detecting enthusiasm came from. That thought of finding treasure. The excitement. It just never goes away. Children and adults alike. We’ve written this kids metal detector buyers guide to give you an insight into what metal detectors are available and for what purpose they are intended. Some are more toy-like whereas some are for kids that are more serious about the hobby. 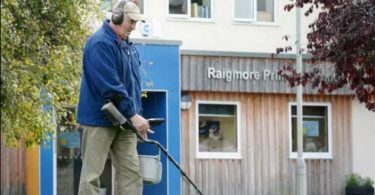 Most of the information in this article is probably more specific to kids metal detectors in the UK, however, it shouldn’t be hard to adapt the information to your area. So let’s take a look at the best metal detector for kids. Before you read the kids metal detectors reviews then you should answer the following questions. If you are buying for toddlers and small kids then something that combines a toy feel but functions as a metal detector would probably be your best choice. To begin with, you could hide a few old coins in the garden or at the beach for them to find. Don’t bury them too deep as the metal detectors for young children are not very powerful it is likely they will only find things very shallow under the ground. How serious is your child about metal detecting? If your child has never mentioned detecting and treasure hunting then it’s probably best to opt for a cheaper metal detector until you know they enjoy it. If your kid has mentioned it before and has shown an active interest then it’s well worth spending a little bit more on a metal detector that features some more advanced features and has a little more power. We’ve featured the heights of all the metal detectors in the specifications to allow you to measure them up. Some of the machines are adjustable which is always a welcomed aspect of a metal detector and for maximum comfort. Something too small and it could make their backs ache, something too big and they will find it very difficult to use. You will find metal detectors for kids in all budget ranges on this page, but do be prepared to pay a little extra for a good metal detector that works well. All of the metal detectors that we have listed function though as they should and do detect metal. The Discovery Channels digital metal detector is targeted at very young children and although not renowned for its performance it’s the perfect gateway metal detector. It even has a sensitivity switch. This kids metal detector has a digital LCD screen which displays battery life and a search indicator. It’s easy to set up and very simple to use, switch on and go. Although the product manufacturers age is 8+ I would say this kids metal detector would be better for 4 – 6 year old’s. You know your child best though so it’s in my opinion only. There are two options available for the discovery kids range, the other option has flashing LED lights on the shaft. Don’t expect a lot out of this child’s metal detector, it won’t go all that deep. Although it does actually work it’s more of a toy than anything else. It’s lightweight and made of plastic although it’s fairly durable and would survive a few bashes and knocks. 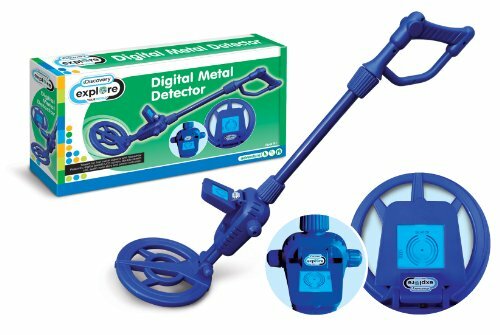 If your child already has an interest in Metal Detecting then I wouldn’t recommend the Discovery Kids Detector, I would opt for something more serious. If you are trying to peak your child’s interest in the Metal Detecting hobby then it’s a good place to start for a smaller child. It’s colourful, bright and fun, Making this one of the best metal detectors for very small kids. You can check the latest price on Amazon below. The next Kids Metal Detector we are looking at is the Bounty Hunter Junior. This is a Metal Detector that’s a little more serious for the mini detectorist, The Bounty Hunter Junior can be used by kids as young as 6 years old up to the ages of around 11. Its height is adjustable for maximum comfort. Bounty Hunter has an established name in manufacturing metal detectors and is a child company of First Texas Products who are a world leading metal detector company. The kid’s bounty hunter features allow for sensitivity adjustments, trash elimination and a proportional volume setting which means the metal detectors speaker gets louder the closer you are to the metal target. It’s very straightforward and simple to use with just two twisting knobs and it also has a small target indicator display. It comes with a little treasure hunter pack, bag and digging tool. Lightweight and comfortable enough for kids to use the Bounty Hunter Junior is a fully functioning metal detector machine with many features and we believe a perfect start for kids to take up the hobby. It can successfully detect metal in soil or sand up to approximately 5 inches. It has discrimination as well so the child won’t spend forever digging just nails and junk. We would recommend this metal detector for juniors ages 6 – 11 and we think its one of the best child’s metal detectors. Specifications for Bounty Hunter Junior. 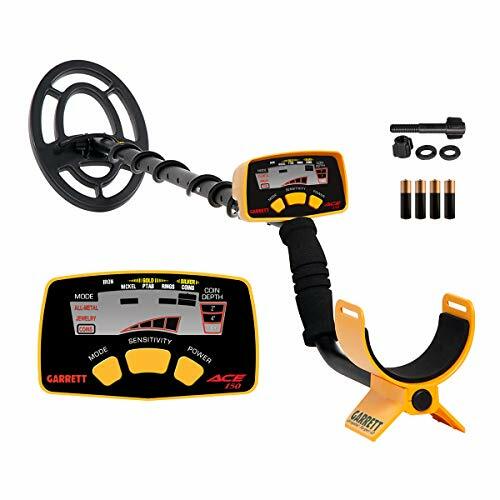 Delving into a more advanced metal detector for kids, but still featuring a lightweight and simple to operate policy the Bounty Hunter Tracker IV TK4 is a fantastic beginners metal detector for kids and even for a beginner adult. It features a waterproof coil, 3 operation modes, headphone jack and preset ground balance to stabilise the metal detector in areas with high mineralisation. No headphones are included so you will need to get a set unless you can cope with the noise of the internal speaker. It has an 8-inch search coil as standard which is fully submersible and waterproof, perfect for beach metal detecting or shallow streams. On the control box screen, it has target identification and a low battery indicator. We believe a child from the age of 11 upwards would find this machine simple to use. It is a metal detector and not a toy so an adult could also feel comfortable using this machine. You can also shorten or lengthen it according to the size of the person. It’s constructed mainly of plastic but that does not affect the sturdiness it’s robust and tough and will take more than a few knocks. Most importantly it finds things and to a good depth as well. The auto ground balance ensures the minerals in the ground don’t interfere with the performance. Another great choice for children’s metal detectors. 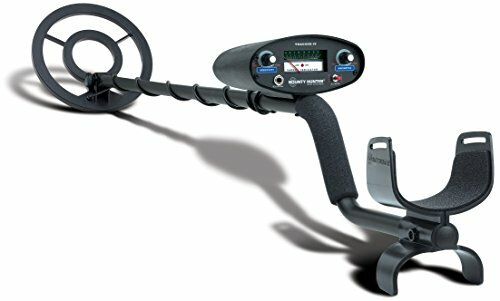 The following metal detectors we believe are the perfect choices for teenage detectorists, all of our featured metal detectors have been chosen for their simplicity, power, weight and features. 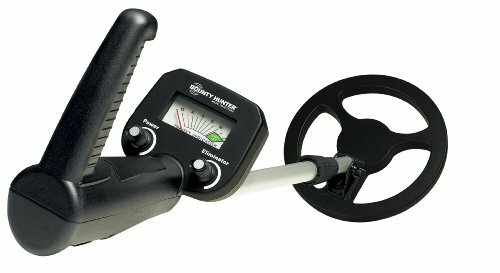 If your teenager is looking to take up metal detecting as a hobby then these are the metal detectors you should consider buying for them. The Garrett ACE 150 is the first ever model in the very successful ACE line of metal detectors. The Garrett ACE 150 weighs in at just 1.2 kgs allowing your teen to be out for hours without getting tired. It’s fully height adjustable from 42″ to 51″ so perfect for both shorter and taller teens. The Control panel has only 3 buttons making it very simple to operate. In fact switch it on and away you go. The buttons allow the user to change mode, sensitivity and switch the machine on or off. There are 3 modes, All metal – no discrimination, Jewellery and coins which will discriminate against trashy targets and reject iron. It has an internal built-in speaker and a headphone jack. You will want to get headphones as it’s a rather noisy machine and there isn’t a volume control. The Garrett ACE 150 was the first ever machine I owned! I had many great finds with the ACE 150 and never had any problems with operation. Your teenager will be able to understand and operate the detector with ease. It’s durable, robust and very well built. There is the ACE 250 available as well if you can afford the little bit extra then it would be well worth it. The Teknetics Eurotek Pro is at the higher end of budgets when buying a metal detector for a teenager. However, it’s well worth the extra cash. This sleek looking well-made metal detector will last for years to come. It excels in highly mineralised ground conditions and is a very good beach metal detector. Iron and trashy ground? No problem. Weighing in at just 1.1kg for the power of this machine it’s something your teen will be able to swing all day long without fatigue. Fully height adjustable from 41″ to 50″ so perfect for your teen to grow with and for both smaller and older teens. In fact, this machine is not only for teenagers but perfect for adults too. The Eurotek Pro features a large LCD display which displays a visual identification number for targets, sensitivity adjustment bar and battery levels. Combining simple to use buttons but far more powerful features the Pro really is a fantastic machine that your teenager will love. Sensitivity control, save personalised settings, volume control, amazing recovery speed and more! It even has a pinpoint mode! The pinpoint mode will allow your teen to pinpoint an exact location of the target in the hole using the centre of the coil. 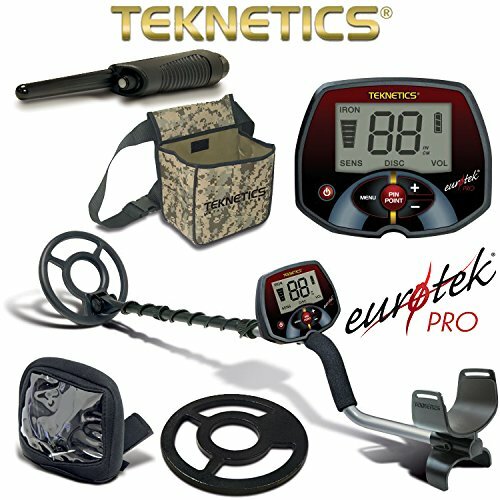 In my opinion, the Teknetics Eurotek Pro is one of the best beginners metal detectors available today. I also believe probably the best metal detector for a teenager. The metal detector is light enough for a teenager to use with ease and has all of the features of a professional metal detector. It’s very powerful and has many positive reviews from its users. Simple to learn, there really isn’t anything more you could ask for in a metal detector. Do the kids metal detectors include a warranty? All of the recommended kids metal detectors we have reviewed above come with a warranty, you can see the length of the warranty below the review. Most warranties are for between 1 – 5 years. What types of metals will children’s metal detectors find? Everything! Gold, Silver, Bronze, Brass, Aluminium, Steel, Iron and more. Some of the metal detectors we have written about on this page have a built-in discrimination feature. This will allow the user to discriminate against ferrous metals. Bare in mind though you will need to spend a little more if you want the performance. A more trusted metal detector will find a lot more than a “kids toy” and will include features that improve the signal strength. The metal detectors will work at the beach. However, some will give false signals near wet sand. Especially the cheaper lower range metal detectors. This is because of the mineralisation of the salt water and sand. If you are purposely buying a beach metal detector then it would be worth spending a little more to ensure the metal detector performs. The Teknetics EuroTek Pro works fantastically on the beach. Can you use the metal detectors in water? The metal detectors above are not fully waterproof. Only the search coils of some of them are submersible. Do not submerge the control panel of the metal detector this is likely to break your metal detector. You can search with most of the metal detectors above in shallow waters. A fully waterproof metal detector for underwater searching can be a very costly machine to purchase. They are specialised metal detectors and not recommended for children. What is a Pin Pointer Probe? A Pinpointer Probe is another handheld metal detector shaped like a wand that helps with the recovery of the target. You use one of these once you have received a signal to the metal detector and dug the hole. You would scrape around in the hole with the pinpointer and if it’s near the target it bleeps or vibrates. Where Do You Get Metal Detecting Insurance?